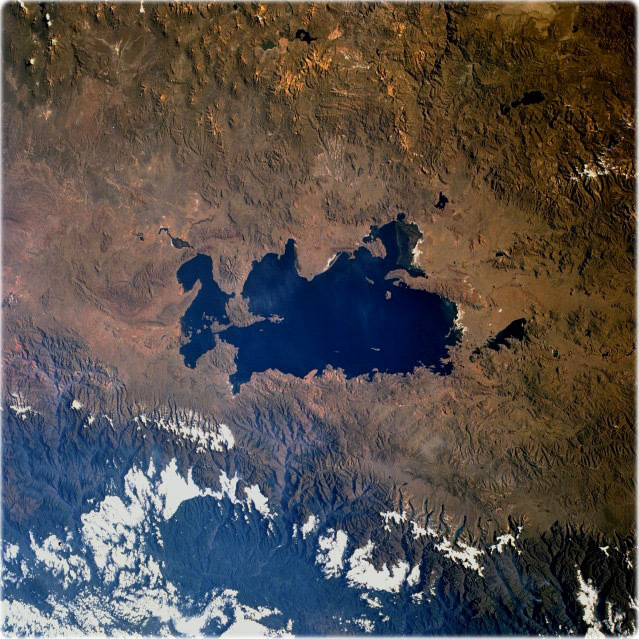 Lake Titicaca, Bolivia and Peru (NASA, June 1993). The largest freshwater lake in South America, can be seen in this low-oblique, southeast-looking photograph. Lake Titicaca is located in a depression in the Altiplano (high plains) between the eastern (greenish, forest-covered mountains east of the lake, partially obscured by clouds) and the western (brownish area west of the lake with numerous volcanic peaks) range of the Andes Mountains. Lake Titicaca covers an area of 8300 km², is nearly 190 km long, and has an average width of 72 km. Fed by many mountain streams that border the Altiplano, the lake is drained only by the Desaguadero River, which flows south into Lake Poopó (not visible in the photograph). 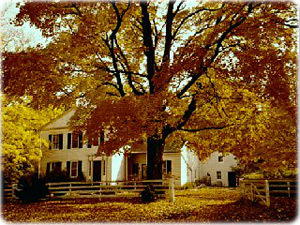 Water levels can vary as much as 5 meters from season to season and year to year. Much of the lake water is lost through evaporation caused by intense sunshine and strong winds. Since the late 1980s, drought has plagued this region of the Altiplano, causing water levels in the lake to drop below normal. The whitish areas scattered around the lakeshore are newly exposed lake bottom areas. A small tail-like portion at the northern end of the lake (visible in the photograph) has been cut off from the main body of the lake because the water level has receded. Drastic drops in water level in the lake could eventually affect the moderating climate of this high-altitude lake 3800 meters above sea level, which could lead to reduced agricultural crop yields. The agricultural crops of wheat and maize help sustain many Indians that live along Lake Titicaca’s shores. 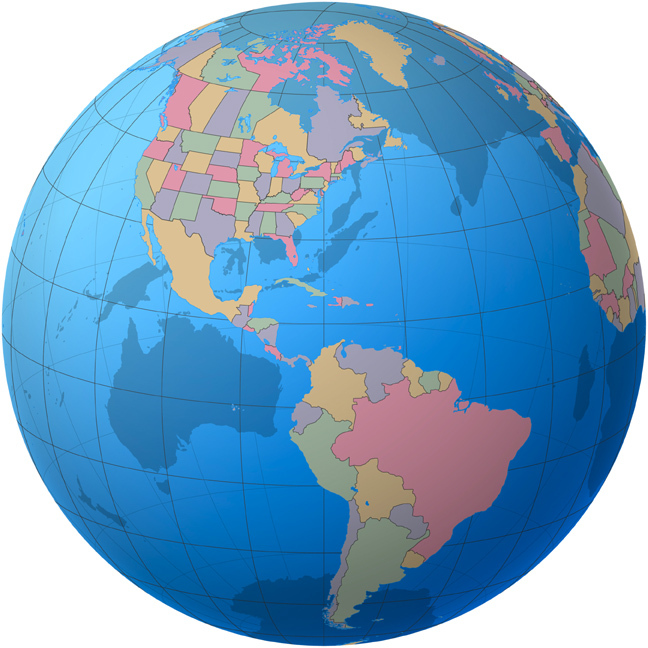 Travel and Tourist Guide and Maps, America continent, countries.